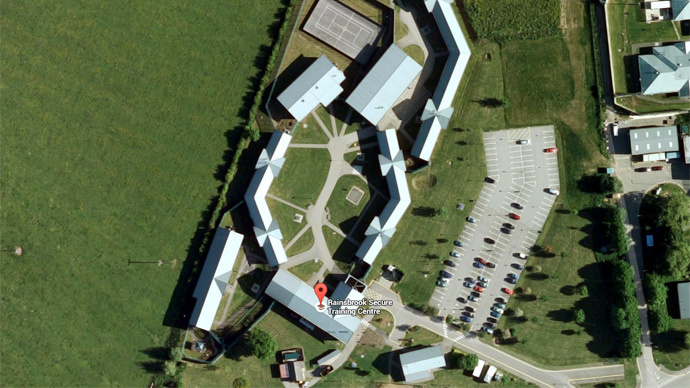 Staff at a UK young offenders’ prison run by private security firm G4S were high on drugs, racist and subjected children to degrading treatment, a report by Britain’s education watchdog has revealed. The discovery follows an unannounced inspection at the G4S-run Rainsbrook Secure Training Centre in Warwickshire in February. Inspectors rated the detention center “inadequate,” prompting campaign group the Howard League for Penal Reform to call for the unit to be closed. Staff had behaved “extremely inappropriately” towards the young people in their care, causing them “distress and humiliation,” the report said. The detention facility, which opened in 1999, can house up to 87 male and female young people aged between 12 and 18 who have been given a custodial sentence or are on remand. Education and health services at the facility are provided by controversial private security giant G4S, which has been dogged by allegations of human rights violations in its operations around the world. Ofsted said doctors’ advice was often overruled by senior managers, meaning that one young detainee who suffered a fracture did not receive medical treatment for 15 hours. Inspectors were particularly concerned that no report was ever made about the incident. Staff members were also found to be under the influence of illegal drugs and even helped young offenders take drugs at the prison. A high staff turnover rate meant new starters did not have the experience to deal with the detainees’ behavior. Ofsted said the quality of staff leadership had deteriorated in the year before the inspection. Howard League for Penal Reform CEO Frances Crook called for the prison to be shut down. “This is the worst report on a prison I have ever seen because it is a catalogue of abusive practices that have been inflicted on young children who have no escape,” she said in a statement. “This is an extremely disappointing report for everyone connected with Rainsbrook and it’s the first time in 16 years that the centre has been found by any inspecting body to be less than 'good' or 'outstanding',” Cook said.